Holding up a drawing he had made at school that morning, TheBoy asked me to put it somewhere special so it wouldn’t get lost. “Don’t lose it, Mommy. I want to keep it forever.” If only he knew how much of his stuff I had already been saving. Shortly after TheBoy was born, I was inspired by this Google Chrome ad to open email accounts for my kids (titled dear.name@gmail.com) that I would soon fill with emails. I make it a point, everyday, to tell my boys that I love them. But at 4 and 2, I doubt they really remember the specifics. By setting up these Gmail accounts, I am able to share my favourite memories with them. From funny moments to silly sayings, I can document (in real time) memories of their childhood that can easily be forgotten. So, I email my three boys. All the time. I have sent yearly birthday emails with developmental updates (weight, height & milestones) along with current sayings & phrases, favourite books, toys, activities & TV shows, foods they like and/or dislike, and other fun facts about themselves at a particular age. I especially love sharing moments I want them to remember about our relationship. Like how I used to take TheBoy grocery shopping almost every other day when he was a toddler, simply because he loved reading aisle signs and labels. And, because we actually had free time to go out. As well, I have typed out Bible verses and quotes that have spoken to me throughout their lives (and during my pregnancies) along with emails I hope will one day encourage and inspire them as they go through various life stages. I have also sent many emails expressing my unconditional love for them. They are my digital love letters. I want the boys to know that no matter what, I love them fiercely and am blessed to be their momma. I also hope these emails allow my boys to get to know their dad and I better (as young, new parents) and to remember their own lives through our eyes. 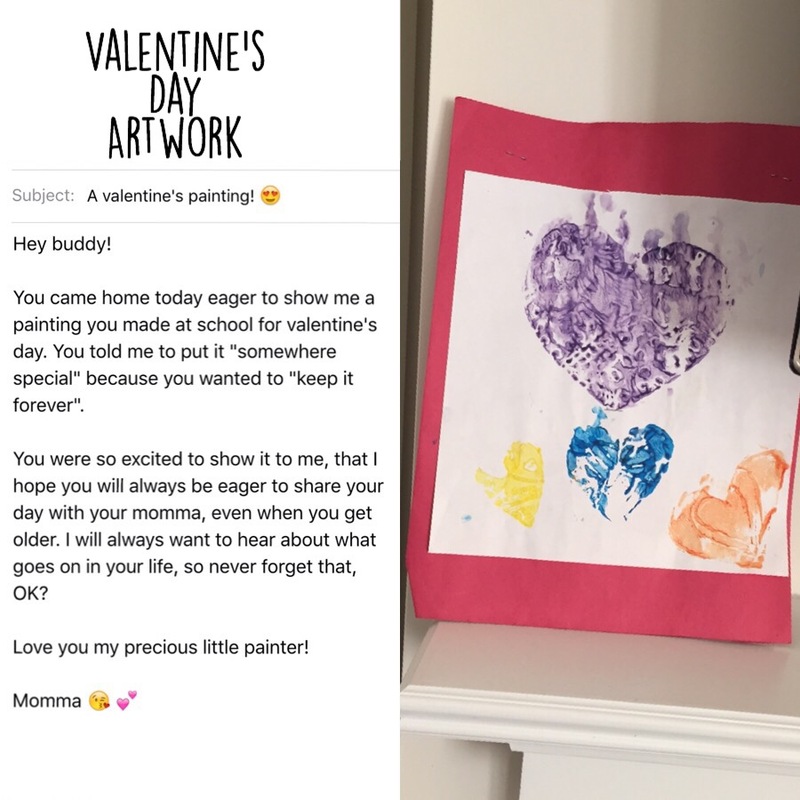 So as I held TheBoy’s drawing in my hand, I snapped a quick picture of it, sent him an email, then placed it on our mantel for safekeeping. 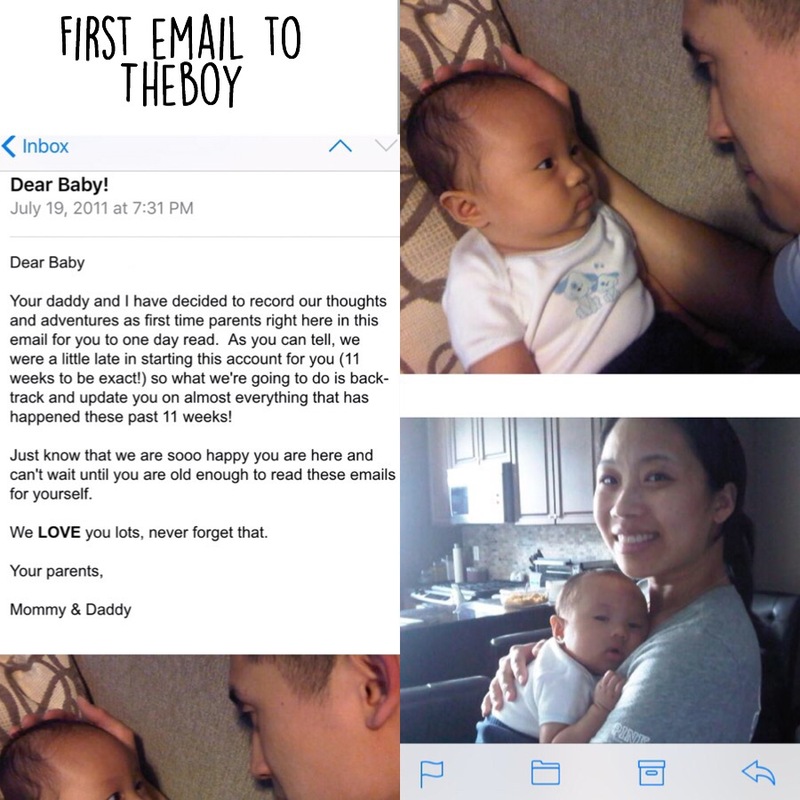 One day, when they are old enough to appreciate them, I will hand over the email addresses and passwords knowing each email that awaits is a reminder of how much we loved them, every day of their lives.